For a durable, low-maintenance decorative fence with a classic wrought-iron look, choose ornamental aluminum fencing. 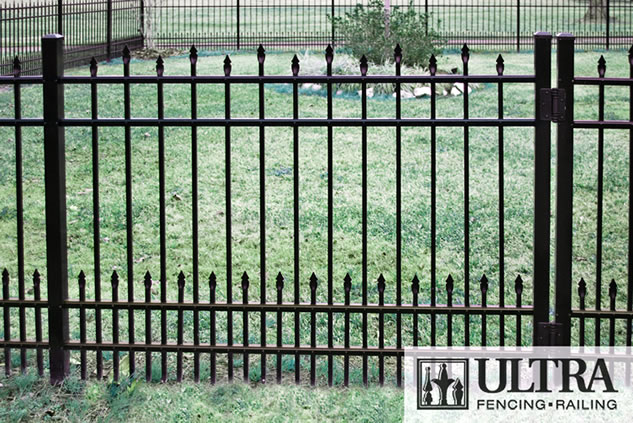 Ultra's line of low-maintenance, high-quality ornamental aluminum picket fencing is a great alternative to a traditional wrought-iron fence. They offer a complete line of handsome, durable, easy-care styles in residential and commercial grades. 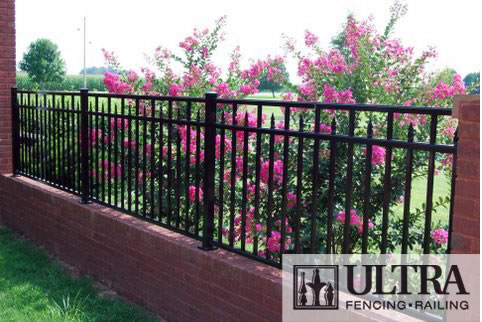 Ultra makes a variety of ornamental aluminum fencing for every neighborhood, home, style, and commercial application. 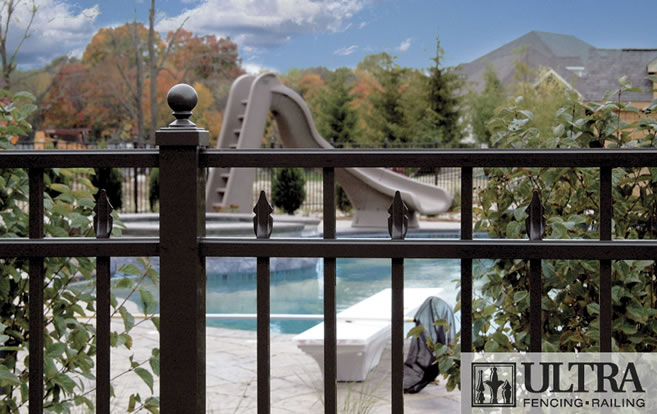 We like to install Ultra Aluminum Fencing because they use only the strongest aluminum alloys and incorporate 20% more aluminum in all their rails than most of their competitors. The entire assembly is protected with their Powdercoat™ finish, a durable finish that is typically twice as thick as most other types of paints and enamels.